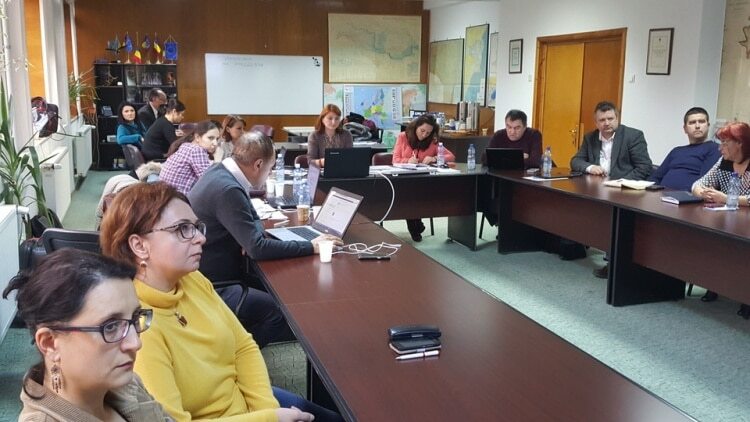 A successful workshop took place in Tulcea, Romania on the 12th and 13th of December 2016 at the DDNI (Institutul Nationale de Cercetare si Dezvoltare Delta). The purpose of the workshop was to collect FLOOD-serv user requirement in order to ensure that the FLOOD-serv solution provides a real value added in practice and helps users in their day-to-day work. A broad audience attended the workshop. Specifically, IP Tulcea, DDNI, Cellent, Siveco, Tulcea City Council, the Crisis Management Inspectorate “DELTA” Tulcea, the Tulcea Water Management System, ANIF (Sucursala Tulcea), and the communities of Mahmudia, Pardina, Bestepe, Maliuc, Ostrov, Nafuru, Ceatalchioi, Peceneaga and Isaccea Town engaged in a lively discussion about the FLOOD-serv solution components.